Welcome to the latest installment of Doom and Doomer, where Jim Doom and I take a back-and-forth look at comic book movies. Today we discuss Man of Steel, which most of you probably saw awhile ago. To explain: We live on opposite sides of the globe, so it’s difficult to find times where we’re both awake and not busy with other things. But we finally did it! Enjoy. DOOM DELUISE: So Man of Steel came out a couple of months ago. Its success in its first weekend led to all of the key players almost immediately signing on to do a sequel, and, in the subsequent time, we’ve learned a lot about where they’re headed with this franchise. The main question, though, is whether or not that direction will be any good, and in order to figure that out, all we have to go on is the quality of Man of Steel. Based on Man of Steel, how confident are you in the much-hyped Superman/Batman team-up movie? JIM DOOM: Well, it’s funny you ask it that way, because I think Man of Steel was truly terrible in almost every way, but I don’t know if it necessarily makes me any less interested in the sequel. 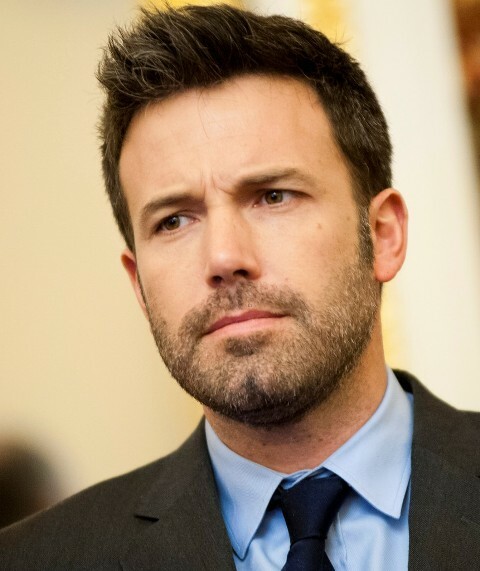 I shared my thoughts on the Ben Affleck casting in the comments of Fin Fang Doom’s post, and the basic idea there was that by casting such a well-known name, Affleck has the potential to overshadow the character. But I also think that he has matured enough as a film presence that I could see him maybe not wanting to be in a movie as bad as Man of Steel was. I was also under the initial impression that they were going straight from Man of Steel to Justice League, so I’m somewhat relieved that they’re going in these relative baby steps. DOOM DELUISE: Yeah, it’s interesting how everybody online is reacting to this news as if they just cast Reindeer Games Ben Affleck. He’s changed a lot in the past few years. Unfortunately, whether his performance is great or not, I don’t see how he can do THAT much to make this series any better or worse than it already is. As far as I’m concerned, as long as they have David S. Goyer writing it and Zack Snyder directing it, we’re in for nothing but absolute crap. 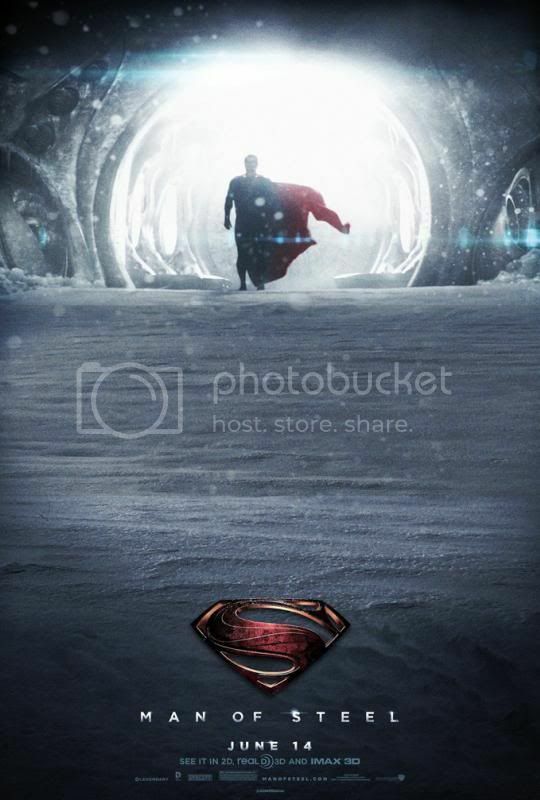 Like Man of Steel. UPDATED: Does this mean Scott Snyder is leaving Batman? 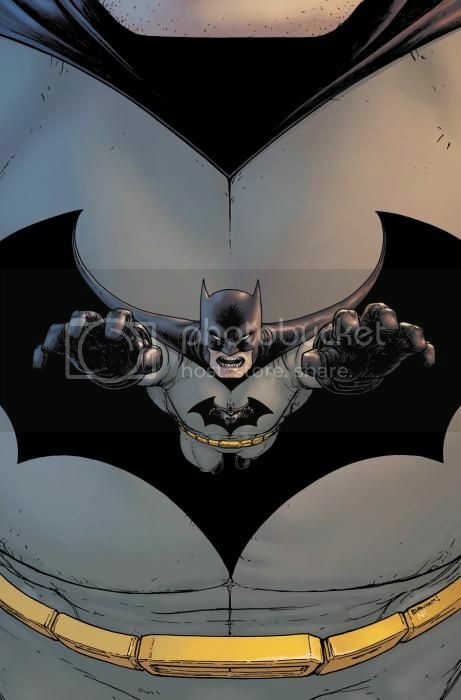 I think I credit Scott Snyder’s run on the New 52 Batman for my renewed interest in comic books. I have no loyalty to Batman the character. I’ve dropped all other Batman books. But his work on Batman has made me as excited for new issues as anything in recent memory. I want Scott Snyder to write Batman forever. That said, I’m curious what Marvel would put him on. 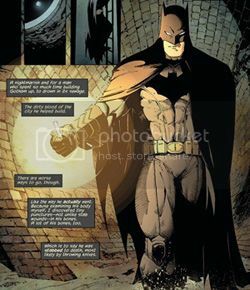 I haven’t read any of Snyder’s American Vampire or Severed work, but what I love about his Batman stories (including before The New 52) and The Wake is how he builds an unnerving atmosphere around the story. He has done an amazing job of making Gotham City a character of its own, and the undersea station in The Wake is an essential part of that story. The comparisons between Batman and Daredevil have been ongoing for decades, but Daredevil is really the only character I can think of off the top of my head whose character is so connected to his surroundings. Maybe Namor? @doomkopf just who Marvel must be targeting. Did Batman Murder the Joker 25 Years Ago? I’m with Smith on this one. I’ve read that story about a dozen times over the years. My entire reading of that book was just shattered. I normally would do a Doomino Effect this time of week (if by “normally” you’ll accept “once every couple of years after previously doing it every week”), but this past week I only bought four comics — two issues of the new Ted McKeever book (my shop only had #2 and #4, because I only just realized there was a new Ted McKeever book, and since I only have #2 and #4, I didn’t read it yet), something I don’t remember, and All-New X-Men #15. I’m not going to carry out my gimmick so I can write one segue between two issues, so instead I’ll share with you why I think All-New X-Men is such a genius idea. 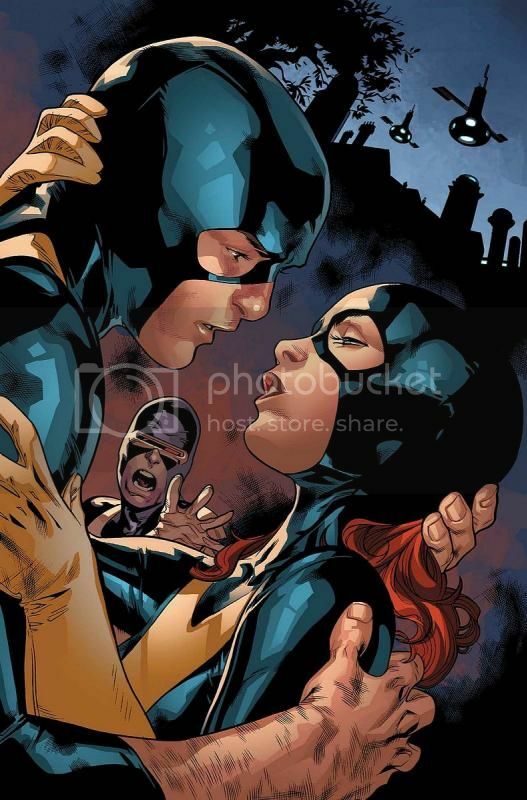 I was looking at the cover of issue #15, with Beast kissing Jean Grey, and thinking about what this series actually is. It’s Brian Michael Bendis writing adventures of the original X-Men. Let’s say one day Bendis woke up and was like “I want to write some adventures of the original X-Men.” He would have several obvious options, and I probably wouldn’t have read any of them! 1. It’s a series of “lost” adventures, taking place within continuity back in the old days. The stories might have been fun, but if they took place within continuity, then we’d know that there were really no lasting implications. Therefore the stories are ultimately inconsequential. I would skip it. 2. It’s a series of “What if?” adventures that takes place outside of continuity. These stories too might have been fun, and they may have lasting implications for the characters, but being outside of continuity, these stories too would be ultimately inconsequential. I would skip this too! So what has the guy done? He’s figured out a way to write what are probably going to end up being fairly inconsequential stories anyway, but he’s come up with a pretty unconventional way to do it. By yanking the X-Men out of the past and putting them in the present, but establishing from the get-go that they’ll eventually be put back in their normal time with their memories of these events wiped from their minds, Bendis can have all sorts of interpersonal fun with the original X-Men, as long as they remain not-killed, but there can be lasting implications for present continuity without damaging the playthings from the past. Aside from the fact that this is one of my favorite ongoing series and one of the main reasons I’m enjoying comics as much as I am this past year or so, I’m really impressed by the way he built this playground for himself! Comic Book Resources shared an interview yesterday with Avi Arad, chief creative officer of Marvel Entertainment, regarding the upcoming sequel to The Amazing Spider-Man. The interview is all of two questions long, and Arad’s responses are largely just salesmanship, but there’s a passage in there that reminded me of the review that Doom DeLuise and I did last year and some of the implications of the choices made in the rebooted franchise. 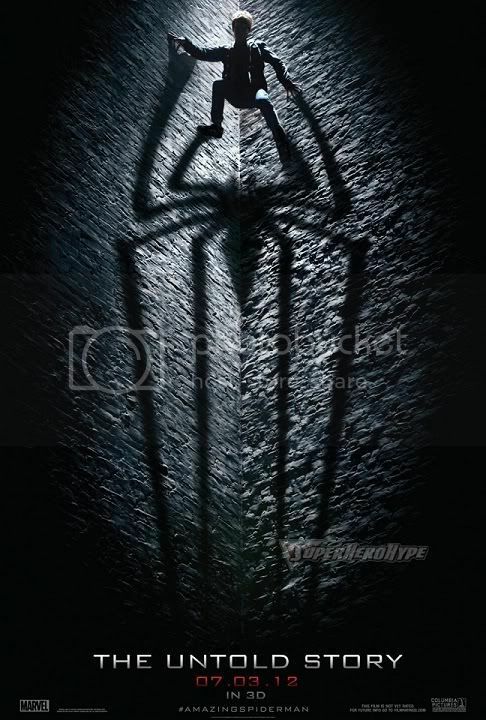 The CBR interviewer mentioned “…the first ‘Amazing Spider-Man’ film was marketed with the idea of telling an untold origin for Peter Parker,” but then pointed out that this so-called “untold origin” failed to materialize, and Peter’s transformation remained “as mysterious as the circumstances of the original.” True! But Arad’s response reveals that maybe the “untold” component is temporary. So that’s the struggle we have, to make the best movie possible, marrying the origin but bringing in new ideas. And then you can depart from it. […] We looked at it like, if I’m Peter Parker, you’d say, “tell me about your life — like why do you live with your aunt and uncle?” Well, my parents disappeared. “Where to?” I don’t know. “You don’t know?” Of course he wants to know. So that’s how you have to look at the storytelling — what kind of questions do I have? That’s edited somewhat for clarity, because the interview transcript seems remarkably faithful to some particularly rambly responses. But what comes across is that Arad seems quite proud of himself that these new films pursue the path of “What happened to Peter Parker’s parents?” which few have dared tread before. In our Doom and Doomer review, DeLuise said that Amazing Spider-Man introduced midichlorians to the Spider-Man origin, by which he meant it “explains something that didn’t need to be explained.” While I disagreed with the severity of those implications (roughly paraphrased, DeLuise felt that ruined the relatability of Spider-Man’s character; I thought it changed the relatability from something like “I could be Spider-Man!” to “I too seek the approval of my parents!” Check out the full review for more depth to that), I agree with the nature of his claim. While I felt that there was potential in the changed focus of Peter’s relatability, in order for that shift to work, it needed to be handled carefully or everything DeLuise alleged would come true. And Arad’s response suggests to me that he gave it no deeper thought than “Oh hey, nobody has ever done this before!” without any care given to how that affects the character, what he represents, and why he resonates with audiences. The implied self-satisfaction with Arad’s response doesn’t fill me with much hope for the sequel. Does he really think that five decades worth of writers haven’t even considered that? Or is it possible that maybe five decades of writers left that untouched because of what the ambiguity brings to the character? That thought doesn’t seem to cross his mind. I enjoyed Amazing Spider-Man much more than DeLuise did, but unlike the first two Sam Raimi films, I’ve had no interest in seeing last year’s reboot again. Time is proving DeLuise right on this one. So a funny thing happened. I was doing this weekly review called The Doomino Effect, and then I just stopped doing it for about two years. And then there was like a two year gap before that. But before that, I went strong for like three years! But speaking of things that go on for about seven years and then just sort of end, that leads me to Batman Incorporated #13, the conclusion to Grant Morrison’s epic run on various books with the word “Batman” or “Final” and “Crisis” in them. This run has seen its ups and its downs, but it’s something that has definitely kept me strung along over the years. I think a big part of what hooked me was the belief that there was going to be some kind of satisfying payoff at the end of it all. But no. In no uncertain terms, there’s not. Much of those oddities cast throughout the series had no meaningful place in the finale. I’m not kidding, but the way this resolves — SPOILER ALERT — is that you find out all along that the drama and suspense didn’t really matter, because Wayne Enterprises had secretly outsmarted Talia Al Ghul all along and her secret death trap wasn’t really a threat. And the final battle between Batman and her didn’t really matter because Jason just tricked Talia into giving Batman the antidote. And the day was saved when someone who was supposed to be dead just turned out to (surprise) not be dead.